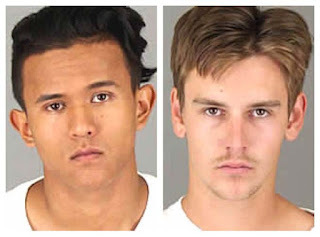 A Murrieta man and a Menifee man have been arrested in connection with a traffic accident that killed another man on Railroad Canyon Road Sunday morning, authorities said. Investigators have determined that the cause of the accident was an illegal street race between two vehicles, according to a Sheriff's Department news release. Police said Ricky Koesy, 18, of Menifee was racing Jacob Frederickson, 19, of Murrieta as they traveled westbound on Railroad Canyon Road near Church Road in Lake Elsinore. Koesy lost control of his vehicle and struck a light pole, police said. 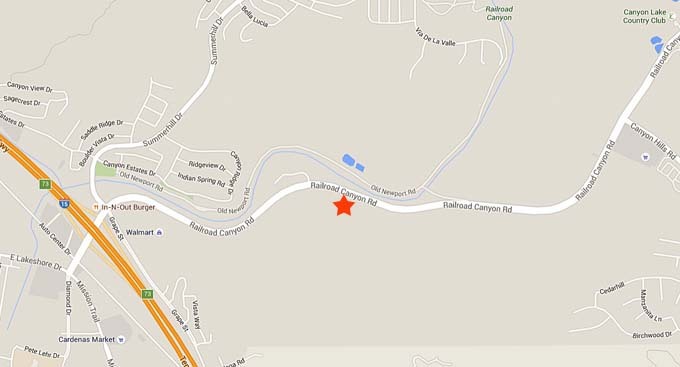 A passenger in Koesy's vehicle, 19-year-old Joseph Paul Castro Jr. of Las Vegas, was killed in the collision. Koesy (left) was arrested and booked at the Southwest Detention Center for vehicular manslaughter. Frederickson (right) was located at his residence in Murrieta after the collision. He was detained and later arrested and booked at the Southwest Detention Center, also for vehicular mansalughter. The accident occured about 12:30 a.m. Sunday. Sheriff's deputies arriving on scene found debris and evidence blocking both sides of the roadway. Railroad Canyon Road was closed for several hours that morning. Anyone having further knowledge or information pertaining to this case is encouraged to contact Officer Roberge of the Lake Elsinore Police Department Traffic Team at 951-245-3300, or after hours at 951-776-1099.